Open 7 days a week, Sunday & Monday 10-6, Tuesday-Saturday 9-7. After hours by appointment only. We are in Old Orcutt across the street from Kay's Country Kitchen. ''I love the old town feeling and warmth so I found a great location in Old Town Orcutt California and built InSPArations.'' We have 4 treatment rooms, two nail stations with a private pedicure thrown, and 6 hair stations. 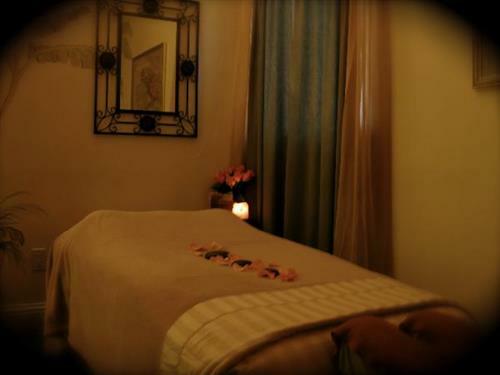 All treatment rooms are sound proof to ensure a calm and tranquil experience. At InSPArations, we offer you professional massage, skin care, hair, specialty spa, make-up application, permanent make-up, nail care, and waxing services. Our hair stylist are friendly, professional and up to date with new styles and trends. The stylist are talented, creative and most importantly here to serve you. Whether they are creating a new look or maintaining the look you feel most comfortable with, you are the top priority. The superb skin care specialists will customize a facial for your skin type and lifestyle. We also offer a variety of massage modalities or techniques in order to provide the right therapy for you needs. The therapists combine their unique skills to personalize each treatment. The nail technicians are talented, creative and dedicated to providing you with a relaxing experience. We have a private area for pedicures with a hydro-therapy whirlpool which has a built-in back massager.